In 1931, George Carwardine, an automotive engineer, developed a theoretical concept for balancing weights using springs, cranks and levers. Using special springs with a 'constant tension' quality developed by Terry's, Carwardine chanced upon the means to create an articulated task lamp that could combine ultimate flexibility with perfect balance. A patent was filed and, in 1933 the first four-spring Anglepoise® lamp was launched. Anglepoise® Navigator's lamps were produced for the World War II bombers between 1939-1944. Four decades later, an American team searching for the Loch Ness Monster salvaged a Wellington bomber submerged in the mud. Remarkably the lamp still worked! Known as R for Robert, the plane, complete with working lamp, is exhibited at the Brooklands Museum in Surrey, UK. It is an iconic British brand. 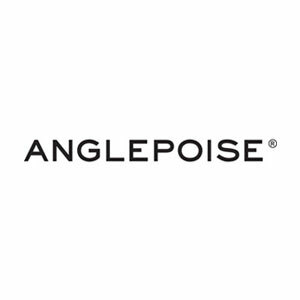 To celebrate the 75th anniversary, in 2009 the Anglepoise® Original 1227™ was featured on a Royal Mail stamp, alongside other iconic British designs including the K2 Telephone Kiosk, the Routemaster Bus, the London Underground Map and the Mini. Characterised by a pioneering perfect balance mechanism developed in the 1930's and an engaging kinetic form, iconic, quintessentially British brand, Anglepoise® produces an incomparable series of practical, energy-efficient task lamps, ideally suited for both domestic and commercial interiors.